Laugh * Sweat * Repeat | Just a girl making some changes and finding a life in the big city! Just a girl making some changes and finding a life in the big city! 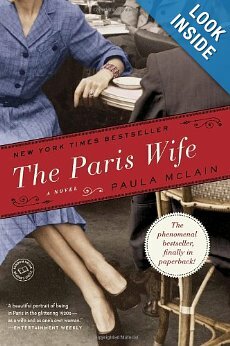 The Paris Wife: A Novel by Paula McLain is a book that has been on my radar for a while. It was a change from the young adult dystopian fiction that I have been reading lately so I was excited for it. The book is striking in many ways. I was immediately drawn in by the language and the writing style. There is no mistake that this book was written for adults. The language is beautiful. The sentences are all thoughtfully structured. I knew pretty much nothing about Ernest Hemingway prior to reading the book. Hemingway had never been a favorite author of mine. I love the idea of focusing on his wife. Women are so often overlooked if they are not the ones out there blazing the trail. Throughout my life, I have been struck by how much the success of someone can depend on the support they have in their life. Many individual successes (such as publishing a great novel) depend on the support structures in place. In this book, the author discusses and examines the ways in which Ernest’s first wife supported him throughout his early years writing in Paris. She gave him the space to write and the encouragement to seize life and explore. She also worked on playing the supportive wife as he met with other great artistic minds in Jazz Age Paris. He would discuss the newest ideas and structures for writing or art while she sat and had tea or wine with the partners. The sights and sounds of Jazz Age Paris come alive in these pages. I can smell the cigarette smoke, taste the sharp licorice sting of the absinthe and fell the shaking of apartment floors as many pairs of feet stomp and dance across them, wearing lines into the hardwood. I have never romanticized Paris (at least not more than your average American twenty something who has a list of places to visit before they die) but this book found me longing for that time and place, feeling sad for all the sights and sounds that will never be viewed by myself or anyone else for that matter. I found myself longing for the happiness I felt she deserved. The way the story is structured makes you invested in the future happiness and success of those characters. While the marriage ends in a divorce, the ending is ultimately happy for her as she found a new love and made a new life. I think that is an oft overlooked part of the story. In the face of adversity and the loss of a love that drove her every thought and moment for years, she can still overcome that to end up with her eventual long-term husband. In the end, I would recommend this book to anyone who has a fascination with the written word. 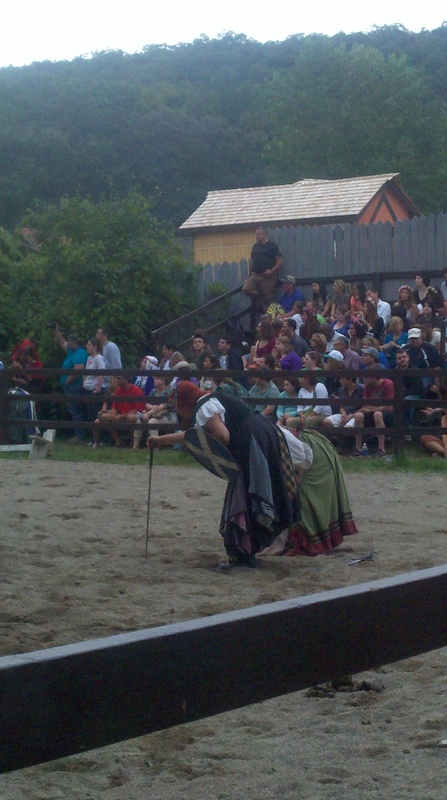 Last weekend featured a fun once-a-year event, the NY State Renaissance Faire!! I have a good friend who is incredibly interested in the Ren Faire, so once a year we join him for a day of knife throwing, jousting, and beautiful costumes! I have to say that while I am not as big a fan as he is, it is hard to not be impressed by the colors, patterns and sheer pageantry of it all. 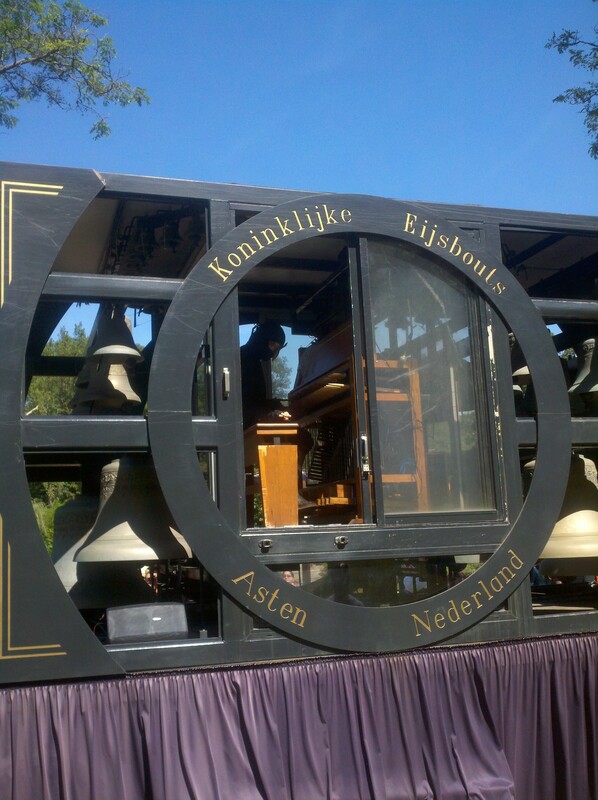 They had a huge bell display. It even featured a masked phantom playing them!! 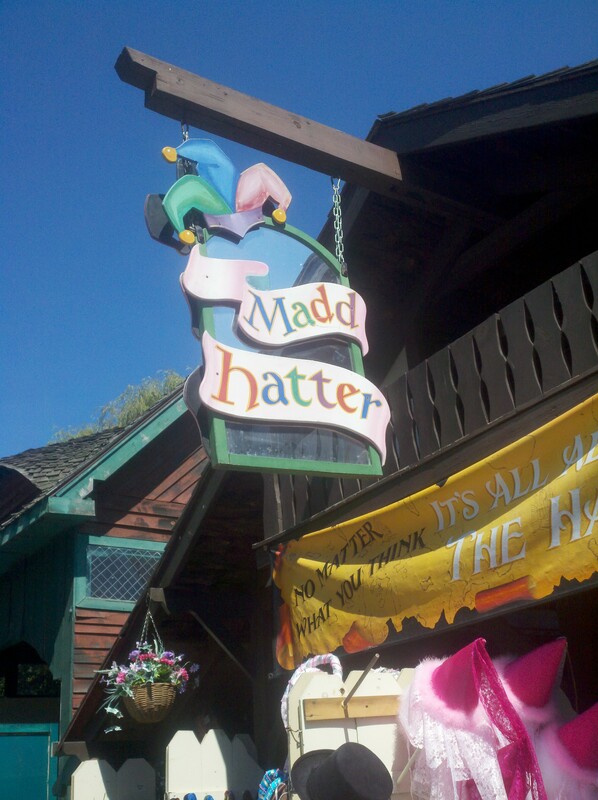 They had a Mad Hatter stand!! It featured a HUGE selections of hats and head coverings! One of the highlights of the day (which I unfortunately do not have much photographic evidence of) was the Vixens en Garde! It was a group of three females, who swung swords and acted the male parts of Romeo and Juliet, while pulling up male audience members to play Juliet. I love some sword fighting action. I love women tackling roles that are not traditionally female and I love gender reversal. So this was a no-brainer! The actresses were hysterical. They filled the stage with a great presence and actively engaged with the audience. We sampled cider and mead throughout the day. We snacked on turkey leg and ribs (using our hands and not utensils!). This is just too funny to not include! At the end of the day, we witnessed a jousting tournament and extravagant show. 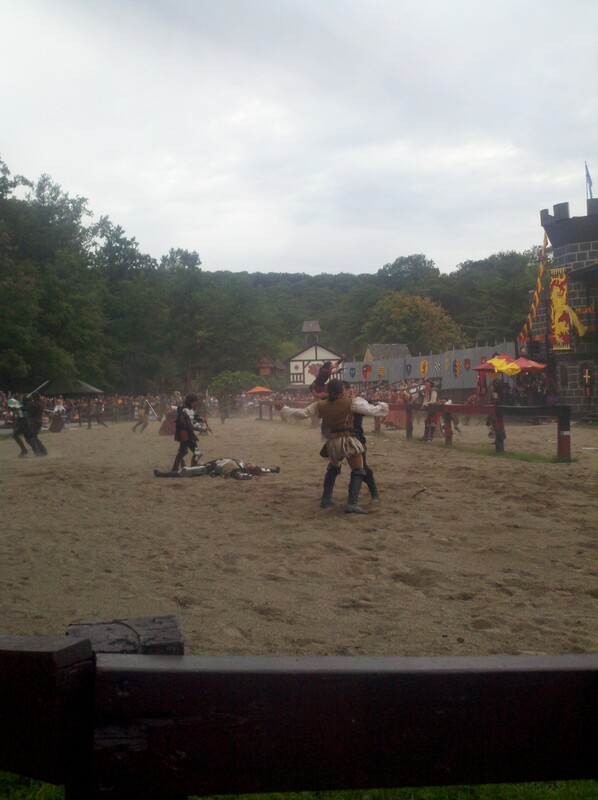 It featured amazing jousts match-ups, complete with wood splinters flying every which way. There was dancing and celebrating throughout the matches. It was all fought for the right to rule the kingdom. The pageant was great, featuring pomp and beautiful dresses and amazing choreography. I have to say, it was a fabulous day all in all. I almost wish I had been able to go twice this summer! This weekend brought me through New Jersey. 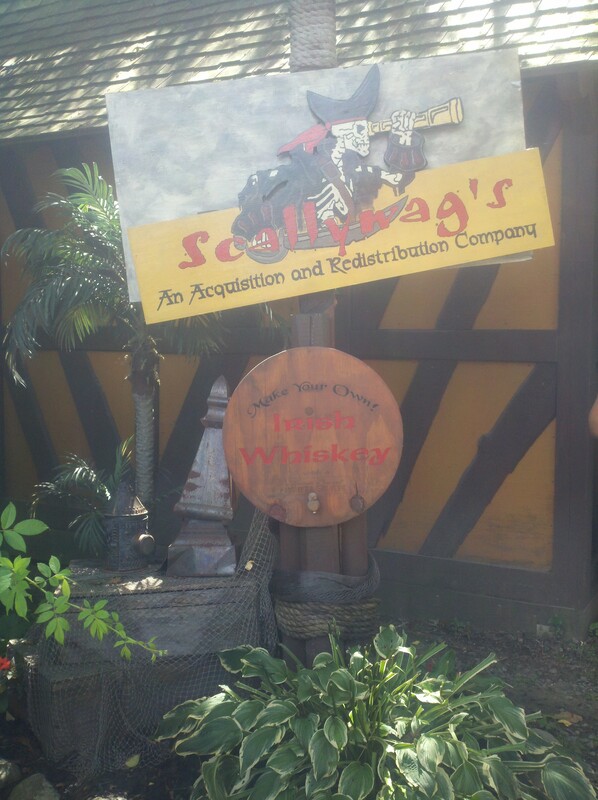 And when I realized I was nearby a place I had been to three years ago, I had to try it again. We went to Harold’s New York Deli for breakfast on Sunday. We had decided to order pancakes. The pancake was to be split between three people. Now, we all have good appetites so we were thinking we would be okay. However, that is before we realized the pancake was the size of a medium pizza pie. Pancake the size of a pizza pie! We also shared a side of home fries and a side of bacon. Now I love both these things dearly. However, there was no defeating this breakfast. There was so much food. 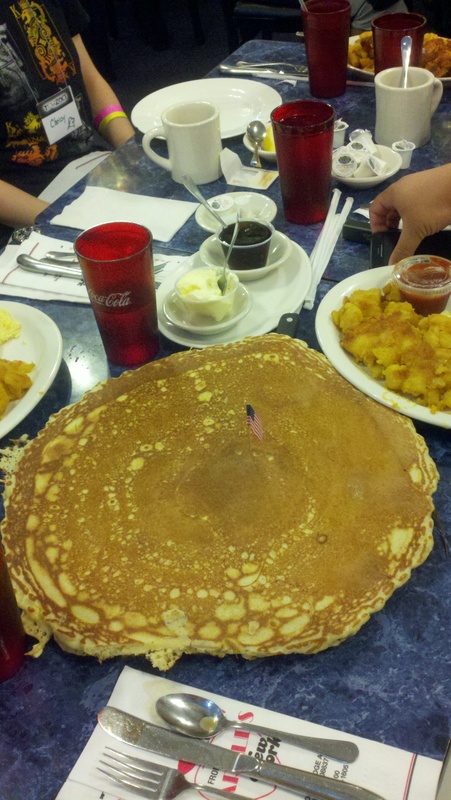 I think the one pancake and the two sides we ordered, would feed five people. 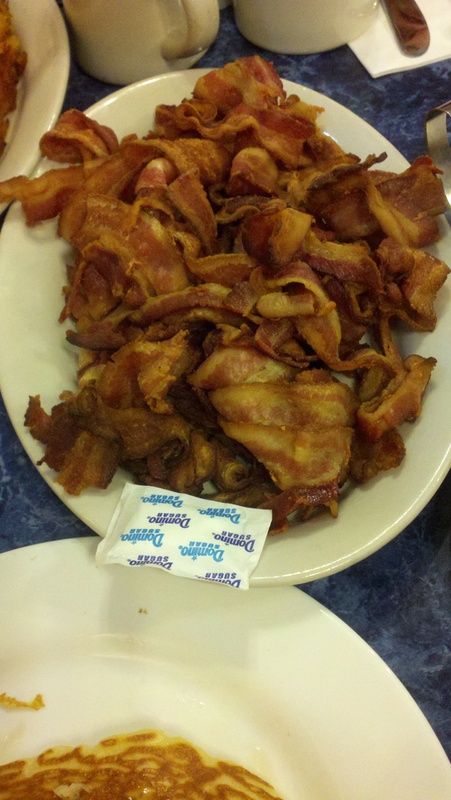 The sugar packet is there for a size comparison. The bacon was deep fried and was delicious. The pancakes were among some of the best I have ever had. They were light and fluffy and delicious. The food here is great but comes in HUGE portions. I would recommend it to anyone in the area looking for a causal meal. It has a NY deli feel. The tables are classic deli tables and the menu has such classics as pastrami and corned beef, along with things such as fried chicken. I enjoyed this place but am quite happy it is a at-most once a year place, not an everyday place. Everything in moderation. I recently made my first Etsy purchase ever and I love it!! 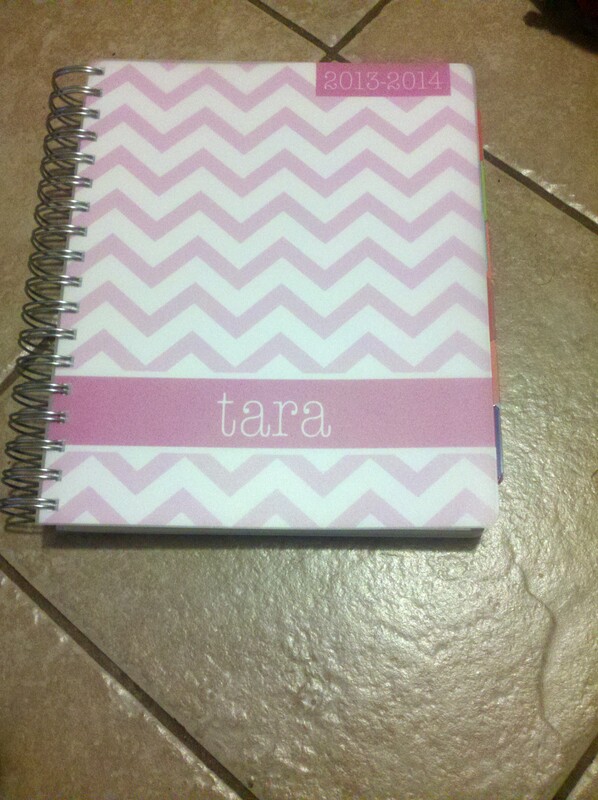 I went with a planner from Plum Paper Designs. I love my technology outlets and will be the first to lust after new laptops and lazily dream of the day when I can have a two screen display on a pretty desk of my own, however, I have a serious love of the old-fashioned. 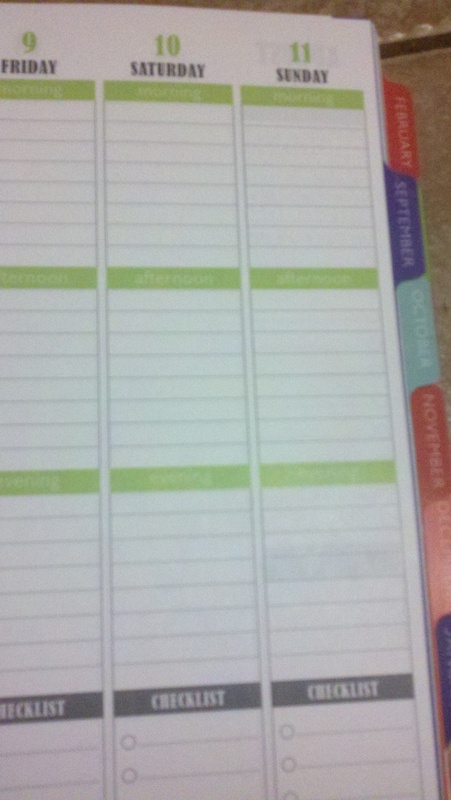 I love a great planner and love looking at things on my schedule and planning my week. This store will allow you to choose from multiple options on the inside. You can choose the traditional hour slots, a more general morning, afternoon, evening option and a blank day slot. It will also let you customize the colors of the covers. I loved this option as it allowed me to seriously indulge my love for pink. While I love my planner, I do regret not selecting the digital proof so I could have seen exactly what colors I was getting. I had included a note with a general request for the colors as I did not care for the color samples on the website. Here are some pictures of it! I love it!! 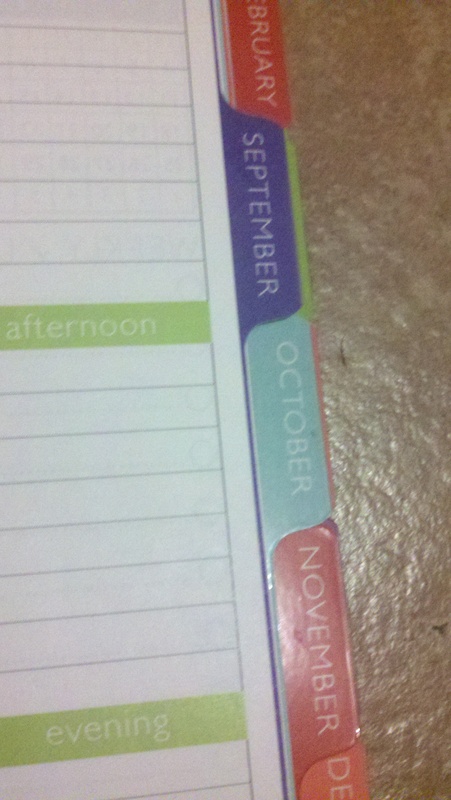 The month tags are a favorite of mine in a planner. I like that this lets me flip through my coming months easily and quickly. The cover with the pink shades I had requested in my email order. Combining chevrons and two shades of pink is an instant win as far as I am concerned! The generalized morning, afternoon, evening selections I picked. It took just about the promised two weeks for delivery. I was very anxious to get it faster but I also ordered at the height of planner busy season. But I think two weeks is still a decent amount of time considering how gorgeous this is and the personalizing on it. I would recommend this shop to anyone who asked. I have already gotten many compliments on it. So the boyfriend’s grandmother died last week. While the Man and I have been together for years, there has not been an occasion (thankfully) where I had to accompany him through the mourning process for a relative. He was there and held my hand as I visited my grandfather as he died, helped me to readjust him as he became uncomfortable, and held me close during the wake and funeral. (He also went on frequent coffee runs which I consider a true sign of devotion). However, I was never placed in those shoes. Actually, come to think of it, I never was in those shoes even with previous relationships. Now, death is not something I am comfortable discussing at all. My grandfather was an Aussie and referred to them as a morbid American practice. I tend to agree. However, I also hate the idea that topics are too morbid or too taboo to discuss. By discussing things that are either taboo or (in the case of death), an inevitable part of the human experience, we find that common ground. I have found that when I have a chance to discuss something that I consider “odd/weird/taboo/etc.” with someone familiar with the practice/food/etc., I end up feeling more comfortable and walk away with a valuable educational moment. I have always known that death rituals are culturally influenced. I come from a huge Irish family so the loud memorial services that come with that are familiar to me. However, the Man is not Irish. Additionally, these rituals are also influenced by the specific family involved. So while the mass was a Catholic church and that was familiar to me, there were still moments of disconnect with what I consider familiar and comforting. An example, I am used to readings being done by the family, this was not the case with his family. I think when you think about a relationship, you never think about dealing with the family you are joining when death strikes. The Man and I have navigated Thanksgiving (doing THREE dinners in one day), Christmas, Easter, birthdays, Mother’s Day, Father’s Day, birthdays and countless other family events together. Those were still not the preparation needed for this experience. Death and the practices surrounding it are unique in families and not replicated easily elsewhere. I believe facing these things in a relationship are one of the more difficult things in a couple’s relationship because of the importance that is put on mourning rituals in different societies. And it is one of the things that are least likely to be discussed in talks with girlfriends over skills needed for a relationship. However, I found that many of the skills we use in other areas of life and making a relationship work are great tools here as well. It involves providing support for each other. This could be a hand that you hold or taking care of phone calls that need to be made for a grieving family. It can also be as simple as doing coffee runs or picking up the picture frames needed for a memorial. It involves tuning into what is needed and doing the best to provide it. This it turns out is not much different than other experiences couples go through after all. Last week I got the chance to try out a SoulCycle class!! I love spinning and have mostly done only spinning in my gym. SoulCycle is one of the spin studios with locations throughout the city. They have an AMAZING reputation for having the best music choices, amazing instructors and unbelievable energy in the classes. The only reason I have not been to SoulCycle earlier is due to the high price tag for a class. Since I am unemployed I find it hard to justify the cost of the spin classes when my gym membership already includes free spin classes. But (as my boyfriend will verify) it has been on my wish list for well over a year! I managed to score a chance to ride for free and I just could not resist it!! I was full of nerves and apprehension about the class. There are a large number of extremely fit people in the spin classes that I take at the gym and had heard rumors that this was much more obvious at SoulCycle. I have a lot of concern over the extra pounds I have and how it looks to be chubby and attempting to keep up in the class. But that is my own issue and not something that I felt like the instructor or the staff felt at SoulCycle. I nervously packed up my gym bag and hopped onto the train! I entered the gorgeous space of a studio on the Upper East Side and anxiously asked if my spin shoes were compatible. I was happy to hear that they were! SoulCycle requires you to wear clip-in shoes on their bikes. Note: I normally wear my spin shoes even in the gym spin bikes. They make it easier to pedal as the wheels are moved with more muscles. This makes long rides much more sustainable. I am so very glad that I did. The class was a LOT of fun but also definitely a challenge. I know I did not pedal as fast as some of the other people or turn up the resistance as high as others did. But I did push myself hard for myself and turned up the resistance to levels that were honestly challenging. One of the main distinctions between this and garden variety spin classes at the gym is all of the extra stuff you do during the class. The class includes push-ups on the bike. This was a difficult move for me as I am just tall enough to ride the bikes that SoulCycle offers. But it felt good to work my arms a bit. The class also featured two pound weights which we grabbed and used for a part of the class. The weights easily store under the saddle area on the bike, which is great! They might be light but they caused a serious burn!! (Oh and the pedaling continued during weight section for arms!). During this section, I was having a bit of trouble keeping up. This made me feel frustrated. I was pleasantly shocked when the instructor came over to ask how I was doing. I told her I was hanging in. She told me I was fantastic. This was just what I needed to hear! I have never had an instructor tell me that I was doing fantastic! It was a great confidence boost! The class was fantastic overall. I can see why it is one of the things that people go crazy for in this great city! If my budget could support it, I would be there a LOT! I think this could be an amazing workout and a great chance to make your workout something you never want to miss!! What is there to not love about a workout that includes black lights, disco balls, amazing tunes and a puddle of sweat under the equipment?! Sal and Dom’s Pastry Shop! I had the honor of following a food professional (and blogger) around recently on a tour of some of the pasty shops in the Bronx. He has a specialty and focus on old-school traditional joints. His preference is for Italian but anything that has been around for a long time will grab his eye. The main event of the day was Sal and Dom’s Pastry shop. This place was impressive to say the least. They have been in business for over fifty years! It was quite the honor to be trailing along with my friend as it was my pass to behind the counter and in the kitchen!! This is a true family affair in the shop! I was told that they have a large portion of customers who frequented the original shops as a child and now bring back their own children. I was told one touching story of a lady who called and wanted to know if they could re-create her late mother’s wedding cake as a way to honor the mother at her wedding. When she showed up for her consultation, the daughter realized it was a cake her dad had made years ago. She recognized the work and they were able to recreate it down to the icing details and flavors. The fact that this is possible makes me smile. This is what food was meant to be! Families sharing with other families. They also use some of the original machines in the shop from the 1950s! It could be the same machine that created a relative’s cake that aids in the creation of yours. As we were shown the refrigerator with the wedding cakes, I asked how many do they make a week. This tiny family shop creates by hand 25-35 cakes a week during their busiest season. I was told that it has been a great change to see so many varieties of wedding cakes being asked for. Apparently many decades ago, there were only a few cakes and design basics considered appropriate for a wedding. But today, every bride and wedding has unique requests! This must be a great thing to be able to witness! 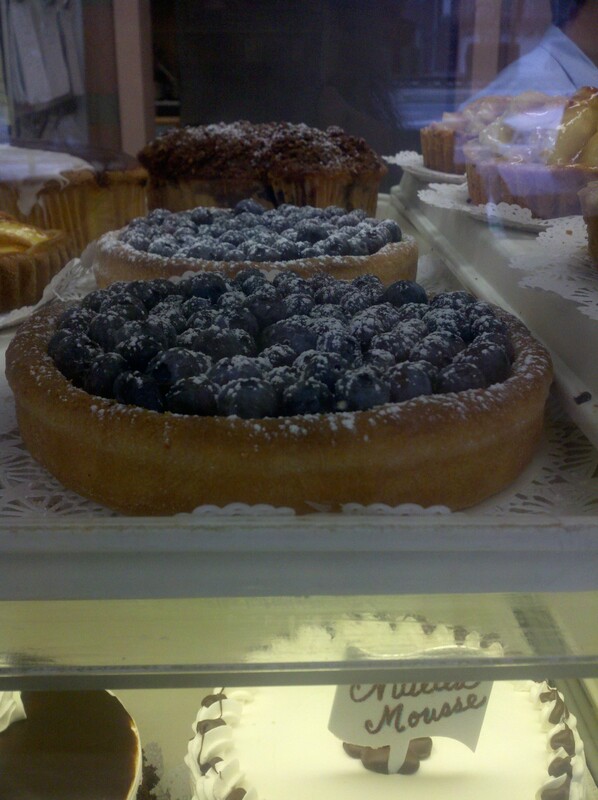 Those blueberries are begging to be eaten! 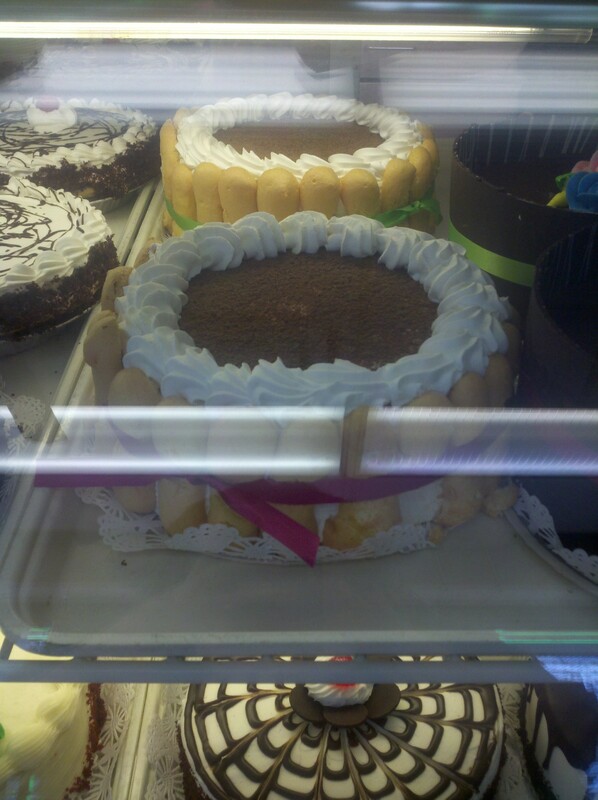 One of the many pastry cases!! 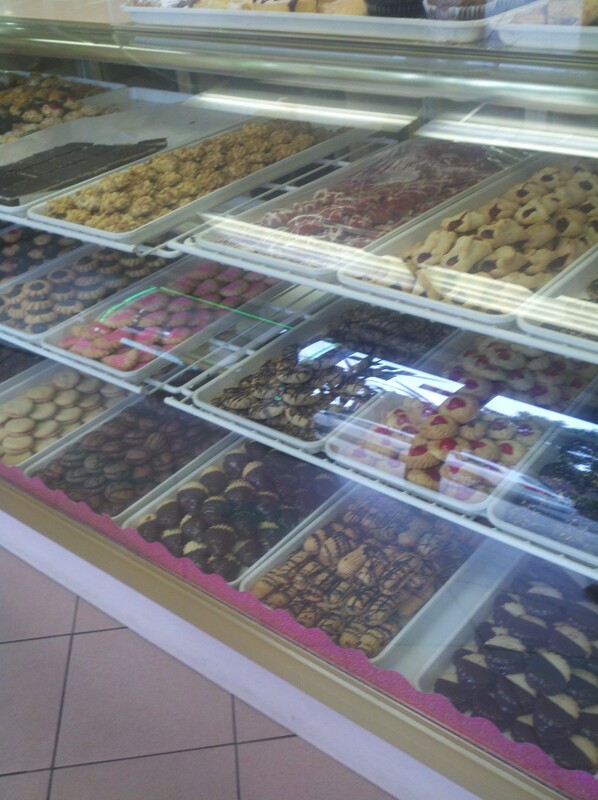 They have a variety of mini-pastries, full-sized pastries, cookies, biscotti and the list goes on! Tiramisu! My favorite dessert of all time! I apologize for the quality of the pictures. I could not locate my digital camera and I had to resort to my outdated Droid X phone. This pastry shop is truly doing it the right way! The family is so friendly and wants to share their food and culture with everyone who walks in the door. I will be back in the future! LaughSweatAgain is LaughSweatRepeat on Twitter!